A 42-year-old Indian-origin scientist has been named this year’s recipient of a prestigious Canadian award that recognizes excellence in complementary and alternative medicine. Sunita Vohra, director of Canada’s first academic pediatric integrative at the University of Alberta medicine program was named the winner of the $250,000 Dr. Rogers Prize at a gala dinner in Vancouver on Thursday, the Vancouver Sun reported. The Dr. Rogers Prize carries the largest cash prize of its kind in North America. “It is overwhelming, about being chosen as this year’s recipient,” the report quoted Vohra as saying. “It is a huge honour. I have not had enough time to digest it. It’s incredible and humbling at the same time,” she said. Clinician scientist Vohra said that she didn’t have specific plans for the money other than she would use it to help get the kind of research she does out of books and into policy that makes changes in the world. Vohra said since childhood she wanted to be a physician because her grandfather was a doctor but never thought of taking up medicine as a career. Initially, Vohra decided to take up pediatrics but then she got interested in clinical science when she was doing her specialty training in pharmacology at a hospital for sick children in Canada’s financial capital Toronto as well as an advanced research degree in clinical epidemiology at McMaster University in Hamilton. She learnt how little traditional medicine knew about the therapies being used to treat children. Vohra said she was evaluating the effectiveness of pediatric integrative medicine alongside traditional care at Stollery Children’s Hospital in Edmonton. She said she wanted to explore alternative and complementary therapies which were extremely popular in Canada. “I think that therapies are along a continuum,” Vohra said. The $250,000 Dr. Rogers Prize for Excellence in Complementary and Alternative Medicine is awarded every two years to celebrate the achievements of researchers, practitioners and others in the field of complementary and alternative medicine (CAM) healthcare. The award was initiated in 2007. The prize is funded by the Lotte and John Hecht Memorial Foundation in Vancouver. The Delhi Medical Association (DMA) Friday rubbished reports that radiation emitted from cell phones and their towers cause cancer. “Radiation from mobiles and mobile towers pose no threat to the health or cause cancer as it is commonly believed,” DMA president Anil Agarwal said at a press conference here. “The radiation waves are too weak too cause such a deadly disease and moreover there are no empirical findings to establish that mobile tower radiation causes cancer or any such disease,” he said, adding the medical experts from the DMA have come to this conclusion after reviewing the study done by the World Health Organization (WHO). The WHO conducted a research where they had consulted 4,50,000 cell phone users in the past 13 years, but had not been able to provide support for any relationship between the emission of radiation from mobile phones and cancer, said P. Ramakrishna, a consultant on electro-magnetic fields (EMF). Even the study done by US’ National Cancer Institute shows no increased risk for brain tumors from cell phone use, he added. There have also been three confirmed deaths and seven suspected deaths, as per an official Friday. 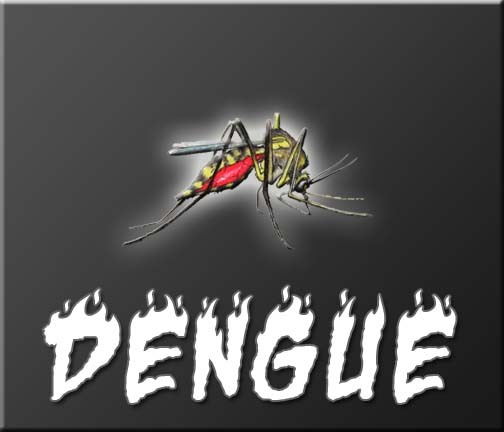 “There has been a total of 1,729 cases and three have died from the vector-borne disease,” said municipal health officer N.K. Yadav. Of the total cases, 1,698 patients are from Delhi and 31 belong to adjoining states. The north, south and east corporations reported 837, 408 and 368 cases, respectively. The victims who have succumbed to the virus and been confirmed by municipal authorities are Phool Singh, 47 of west Delhi’s Ashok Nagar, Priyanka Shankar, 21 of north Delhi’s Pratap Nagar and Priya Jha, 6 of south Delhi’s Okhla. Scientists writing in yesterday’s issue of the journal Science detail the discovery of a brain circuit that appears to control a mouse’s eating behavior. Specifically, the researchers say that, whenever this circuit is artificially stimulated, the rodents start gulping down impressive amounts of food, regardless of whether or not they feel hungry. “But when you shut those cells down by stimulating this pathway, that releases the brake, and the animal starts to eat,” explains researcher Garret Stuber with the University of North Carolina at Chapel Hill, as cited by Live Science. Furthermore, it appears that, by toying with this circuit, it is also possible to keep mice from eating even if they are pretty much starving and should therefore jump at the opportunity to chew on some food. The brain circuit that the researchers have experimented with as part of this study sits in a part of the brain known to the scientific community as the bed nucleus of the stria terminalis. By the looks of it, it influences eating behavior by altering activity patterns in the lateral hypothalamus. The researchers now wish to carry on further investigations and determine whether or not this circuit also influences eating patterns in humans. A TYPE of antibody found only in the blood of sharks could help tackle breast cancer, scientists have said. It is thought that the unique IgNAR antibodies could be used to prevent the growth of cancer cells and research into them could lead to the development of new drugs to fight one of the most common forms of the disease. Biologists from the University of Aberdeen have been awarded 200,000 pounds ($345,660) by Scottish cancer research charity the Association for International Cancer Research (AICR) to carry out a three-year study. Their work will focus on two molecules, HER2 and HER3, found on the surface of cancer cells which, when they pair-up, are responsible for signaling cancer cells to grow and divide. Potentially, IgNAR antibodies could be used to stop these molecules from working and sending the signal. “IgNAR antibodies are interesting because they bind to targets, such as viruses or parasites, in a very different way to the antibodies found in humans,” said Dr Helen Dooley who is from the university’s School of Biological Sciences and will lead the study. “They can do this because their attachment region is very small and so can fit into spaces that human antibodies cannot. Very high levels of HER2 are found on the surface of cancer cells in women who have HER2-positive breast cancer, this affects around a quarter of women with breast cancer. While HER2-positive breast cancer can be treated with drugs but resistance to this successful treatment is a growing problem. “With the funding from AICR we can begin to explore the potential of IgNAR as a future treatment for breast cancer,” Dooley said. Cassivi says the reasons some people can’t even get a baby aspirin to go down the esophagus are varied. “People who have underlying swallowing difficulties, called dysphagia, may have trouble swallowing pills, but that is generally the result of other problems, such as stroke or surgery or gastroesophageal reflux,” he says. For the rest of the population, Cassivi notes, pill-swallowing difficulty is usually related to a fear of gagging, which might come from a bad experience with taking a pill. “Fear of gagging is pretty prominent” and a bad experience can cause one to think a pill is harmful and thus cause the throat muscles to tighten, he says. To swallow pills without worry, one has to “get over the mental hump” and relax the muscles. There are three phases to swallowing: oral (chewing, moistening and delivering food to the back of the mouth); pharyngeal (which includes the closure of the larynx by the epiglottis and vocal cords, and the temporary inhibition of breathing as the food passes); and esophageal (the rhythmic contractions of the esophagus to deliver food to the stomach, among other actions). “We have an unconscious ability to know when food is moistened and masticated enough to be delivered to the back of the throat,” Cassivi says. For instance, no one chews yogurt—typically one just swallows it—but not being able to chew a hard substance like a pill can throw the mind-body connection in swallowing off, he says. The oral phase is the voluntary phase and may be the key to helping many people overcome pill-swallowing difficulties. The U.S. Food and Drug Administration has approved the first artificial pancreas system for diabetics that reads blood sugar levels and automatically shuts off the flow of insulin. The device, made by Medtronic Inc, could help the 3 million Americans living with type 1 diabetes better manage their disease, which causes the immune system to destroy cells in the pancreas that make insulin. Patients suffering from type 1 diabetes, the inherited version of the disease, have to regularly monitor their blood sugar levels and take insulin several times a day. Too little or too much of insulin can lead to several health problems, ranging from kidney failure and heart disease to brain damage. The device includes an insulin pump and a glucose sensor that stops insulin delivery when blood glucose reaches a preset level. The system has been approved for use by diabetics aged 16 years and older. Medtronic said it would conduct a post-approval study that would include children aged 2 years and older. The Minneapolis, Minnesota-based company said it would begin ramping up production immediately to prepare for a launch in the next few weeks. The company will also directly follow up with patients and make certain manufacturing changes according to the requirements of the approval and an accompanying warning letter it was issued on Sept. 19. Medtronic said it has already addressed many of the observations in the warning letter and was committed to resolving the remaining issues as quickly as possible. Engineers have invented a new kind of toothbrush that is tailor-made to fit into a person’s mouth. According to Blizzident’s makers, the toothbrush cleans teeth completely within six seconds, though independent studies are yet to verify the claims. To make the brush, the dentists take teeth’s digital scan then the makers use it to find out the optimal placement of 600 bristles by simulating biting and chewing movements. The bristles look like normal bristles but are much finer and have been tapered to reach under the gumline better. The makers print the brush with 3D printing. They use the dental scan to create a computer aided design (CAD) model of the brush that is then converted into a 3D object using stereolithography – a method in which liquid plastic is created into the shape with an ultraviolet laser, Fox News reported. The bristles are then painstakingly attached to this object. To use Blizzident, a person has to bite down on it and grind their teeth for about six seconds. Omega-3 fatty acids, which are found in fish such as salmon and in nuts, may not help improve thinking skills, a new study has revealed. “There has been a lot of interest in omega-3s as a way to prevent or delay cognitive decline, but unfortunately our study did not find a protective effect in older women. In addition, most randomized trials of omega-3 supplements have not found an effect,” study author Eric Ammann, MS, of the University of Iowa in Iowa City, said. However, the researchers did not recommend that people change their diet based on these results. The study involved 2,157 women age 65 to 80 who were enrolled in the Women’s Health Initiative clinical trials of hormone therapy. The women were given annual tests of thinking and memory skills for an average of six years. Blood tests were taken to measure the amount of omega-3s in the participants’ blood before the start of the study. The researchers found no difference between the women with high and low levels of omega-3s in the blood at the time of the first memory tests. There was also no difference between the two groups in how fast their thinking skills declined over time. The study is published in journal Neurology.